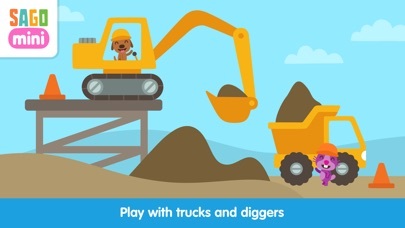 Sago Mini Trucks & Diggers is another great interactive app in the Sago Mini series that allows players to experiment with various trucks and construction equipment. 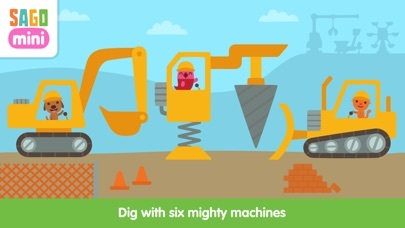 This hands-one, free-play app allows players to build various houses and buildings using a variety of diggers and other construction equipment. 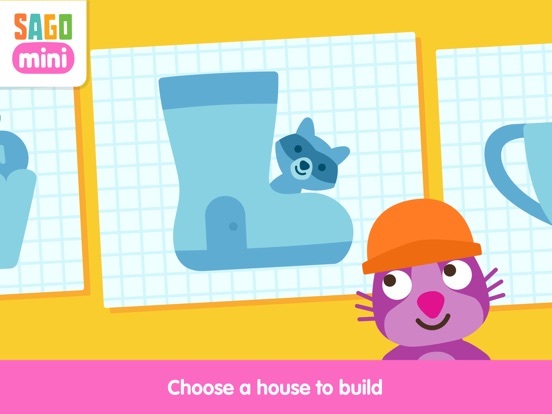 Easy to use and fun too, this app is great for children of all ages. Sago Mini Trucks & Diggers are full of lovely graphics, fun sound effects, and exciting surprises for children to explore. As always the developers have done an excellent job with creating an easy to use app that children of all ages can use with ease as the user interface only requires a bit of tapping and dragging to move through the app. 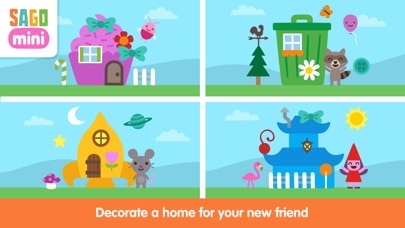 With lots of exciting friends to enjoy and interactive activities to explore, this app is very well done. While this app doesn’t utilize the traditional educational features you might expect in another app, it does offer experiential learning through play. 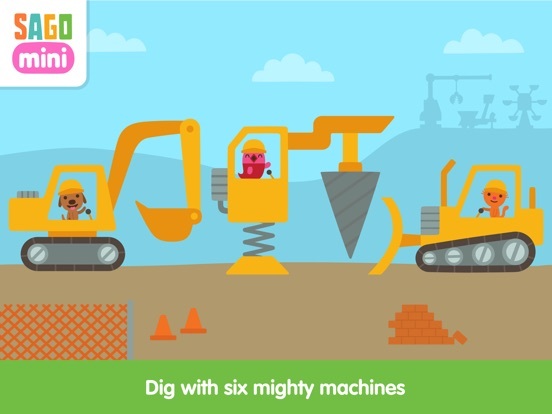 As children move through the app trying the different trucks and diggers, they begin to learn how each works. They also learn a bit about building as they complete a variety of fun castles and homes for their friends. There is no doubt that children are going to get a ton of entertainment out of this app as there is so much to explore. With lots of friends to meet and a variety of interactive activities to enjoy, this is one app players are going to play for hours. The free-play environment also provides a ton of freedom so players can explore the interactive parts of the app in their own time. 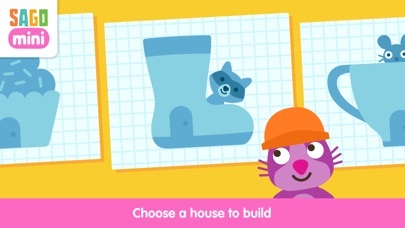 The developers have also included six unique homes for children to construct for their animal friends adding a bit of focus to the app. Overall, the entertainment value is very good. Priced at just under three dollars, this app is priced well for what you receive. 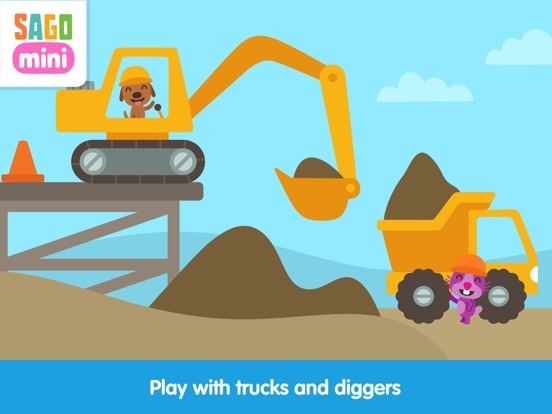 With a free-play environment for children to enjoy, plus six diggers and trucks to explore, and six homes to build, this app is one that will keep kids busy for hours. 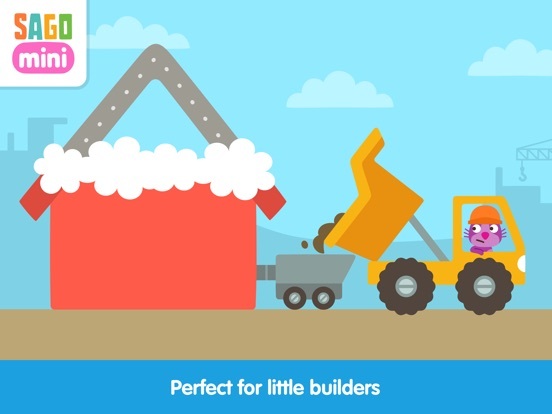 Sago Mini Trucks & Diggers does a nice job overall of making the app easy to use for children of all ages. With an intuitive interface, fun interactive activities, and lots to explore, this app has a lot to offer for young children. 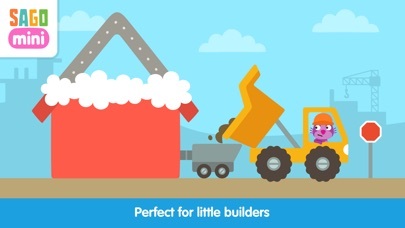 Parents can also rest assured knowing that the developers have made this app completely safe for children to use with no external links or ads.